Online wine merchant 75cl.sg recently relocated its wine showroom from the godforsaken industrial boondocks of Kallang Place to a new two-storey facility in the slightly less remote Jalan Kilang Barat near Bukit Merah, offering patrons a chance to taste a wide selection of wines before purchase. One of the biggest problems in perusing an online wine merchant’s offerings is that while you can browse their portfolio on the Internet, you’re wholly reliant on descriptions and images to decide what to buy – which, in many cases, is hardly descriptive or helpful in narrowing down your purchasing decisions. 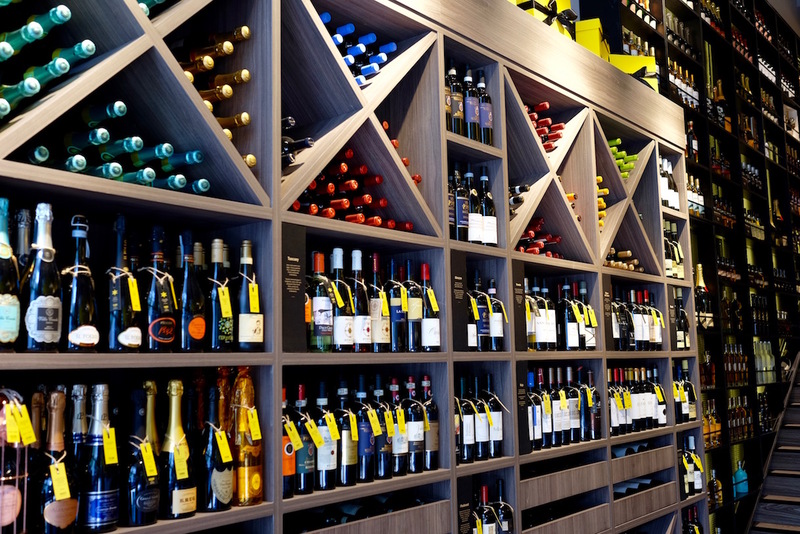 Sure, you can hold regularly wine tasting events so that customers can taste the wines before buying – 75cl.sg’s annual World of Wines is very popular – but that requires plenty of planning and resources. 75cl.sg realised this digital distance may be a barrier to consumers, and hopes their new tasting lab at Jalan Kilang Barat is a solution. The new facility carries pretty much its entire portfolio – or at least whatever they do have in stock – with around 56 wines available on-site in enomatic wine machines for consumers to try before they buy. Simply purchase a card from the counter, top it up to a desired amount, and you can try as many wines as you have credit for. Most tasting samples cost between $3 to $4, and you can try both Old World and New World wines to find what you like. Friendly and knowledgeable staff are also on hand to guide patrons on their preferences. When we visited, there was the highly-recommended Regio Cantina Donpa Aglianico de Vulture DOC 2010, featuring that rare indigenous Italian grape varietal, as well as the personal favourite Louis Max Beaucharme Pinot Noir 2013 from Burgundy’s Cote du Beane. Those who love Bordeaux wines may want to consider the Lacoste Borie Pauillac 2009, which expresses the classic Bordeaux Left Bank style of balance and finesse. The 56 wines are constantly rotated, about once every two weeks, to keep the offerings fresh and interesting. 75cl.sg is even considering putting whiskies – its parent Magnum Wines and Spirits also carries a range of both white and brown spirits – into its enomatic machines for consumers to try. Do note though that 75cl.sg’s Tasting Lab is not a licensed F&B establishment, so do not expect food or table service. But it’s a great place to while away an afternoon, sampling as you browse through its shelves for the best bargains. You can find 75cl.sg Tasting Lab at 8 Jalan Kilang Barat, #01-06 Singapore 159351.